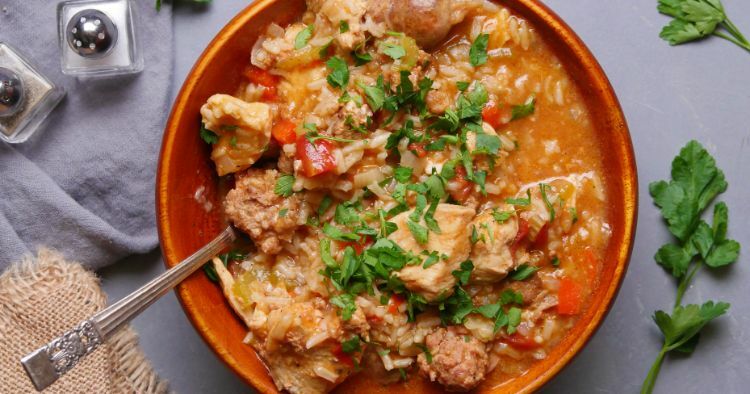 Jambalaya is a favorite Louisiana-style one-pot rice dish. Along with rice, aromatic vegetables, and intense Creole spices, it almost always includes spicy smoked sausage — andouille is the classic choice — and other meats and seafood like chicken, shrimp, or crawfish. It's a wonderfully economical, delicious and satisfying meal. Any good jambalaya — really any good Cajun or Creole dish — begins with “the holy trinity” of diced onion, celery and bell pepper. 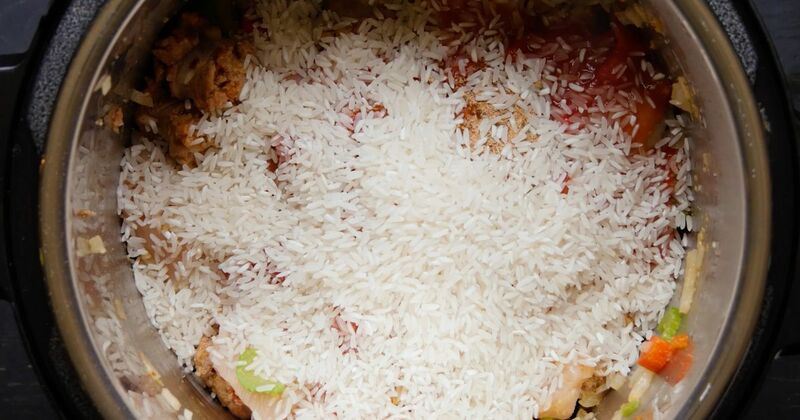 Add sausage, rice and any other proteins you have on hand, and you’ve got a spicy, filling, meal. Cooked in an Instant Pot, this version is so quick and easy, you’ll be eating in about 30 minutes. Laissez les bon temps roulez! Add the sausage, onion, bell pepper, garlic, and celery to the pot and cook, stirring frequently, until the sausage is browned and the vegetables have softened, about six minutes. Add the chicken to the pot and cook, stirring occasionally, for about two minutes. Add the diced tomatoes, along with their juice, broth, Creole seasoning, salt, and rice. Stir to mix. Close the lid of the pot, and turn the valve to the sealing position. Choose high pressure, and set the timer for eight minutes.